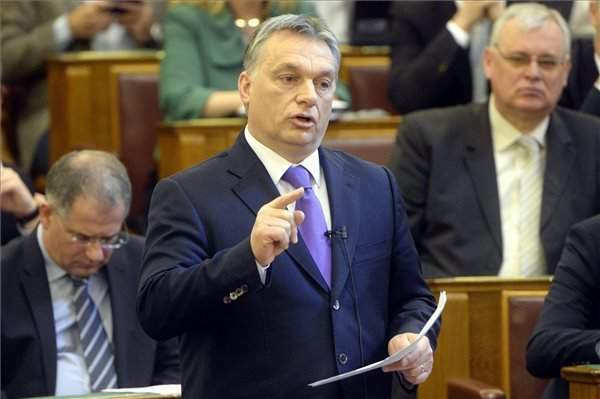 Budapest, February 22 (MTI) – Blocking the EU mandatory quota plans for distributing migrants will be a number one priority for the Hungarian government in the upcoming period, Prime Minister Viktor Orbán said in Parliament on Monday, in a briefing on last week’s EU summit. 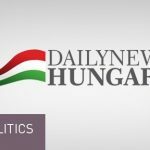 The cabinet will meet on Wednesday to discuss how to fend off this “attempt by Brussels to … relocate people to Hungary regularly and in large numbers that Hungarians don’t want to live with, ” Orbán said. The next EU summit planned for early March will focus on this issue, whether member states are willing to sanction a clause to be built into EU legislation requiring countries like Hungary to automatically receive migrants, he said. 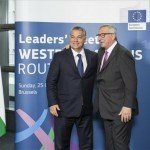 The new clause would work as a “standard mechanism for refugees, it would continously send migrants that Hungary does not want to accept and that it currently stops at its southern borders,” he added. 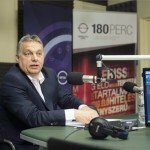 Orbán said the situation in the west is “getting more and more strained” and the pressure is increasing on the Visegrad countries of the Czech Republic, Hungary, Poland and Slovakia. Orbán noted that the EU had earlier made a one-off decision about relocating 160,000 migrants, but Hungary and Slovakia had attacked this decision at the European court. 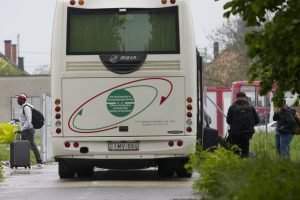 Hungary’s response to the 2015 migrant crisis in connection with illegal entrants had been to “control, identify, block and return” them, just as the Schengen rules prescribe, he said. An important milestone at the summit was that for the first time the community accepted Hungary’s approach for the whole of Europe and agreed that it was a priority to stop the migrant inflow, Orbán told lawmakers. It was made clear that external borders must be protected, a goal that used to come second to refugee and humanitarian considerations, he said. It was also made clear that everyone must keep fully to the rules of Schengen, Orbán said, adding that the EU is now “where it should have been a year ago”. The countries of the “Balkan route”, including Austria have “started to walk the path of common sense,” he added. This means that “protecting our southern borders has become a possibility” and if Austrians and other countries keep their word it will be easier for Hungary to do so, too. The physical barriers must be reinforced, however, and “possibly extended”, though the government has not made any decisions in this respect yet, he said. On another subject of the summit, Orbán said that free movement rules had been protected with the help of the V4 block so that they should continue to apply to the entire bloc and all its citizens. They also managed to protect the idea that social services for people already paying contributions into the UK system should not be affected by changes, Orbán said, adding that the real dispute is about services to non-paying citizens of third countries. Even this latter group will not lose its benefits, these will only be suspended, and only in justified cases, he said. As a result of the deal brokered, even those benefits will stay in place for which workers are not paying any contributions. Further, it is an important achievement that new rules will not apply to workers commuting from another country, he added. He said benefits after children will also be kept, but in cases where the children reside in the home country and not in the UK these benefits will be indexed according to the country of their residence. This problem affects about 220 Hungarian cases, Orbán said. He said all changes to the EU that are possible without modification of its treaties have now been made and it is now up to the British to decide whether they remain members. For Hungary it is an honour to be in the same community as Britain and it would be happy to see the UK stay in the EU, Orbán said. I disagree as does Orban. In the first case, Mad Merkel and JunkFarmer decided what was best for Europe without asking them. Secondly, they both allowed in all kinds of people with different intentions UNCONTROLLED against EU regulations. Thrice, they realized their mistakes, tried to stay’Politically Correct’ and failed. To end this, Germany will stop making decisions for the rest of Europe. Germany does what it likes to itself. If they are not willing to work with the rest of Europe, this UNION will end. This is not in the best interest of any EU members nations, including Great Britain, which will cease on BREXIT, should it happen. Just think the US of Ayes, love this. They wouldn’t be happier with a destroyed economy in the EU, China, and Russia as well as Middle East. How else will they get their own economies out of the hole. Check out the Russian propaganda that’s being fired back at the US of Ayes. This is above Orban’s head of course, but not the Superpowers….